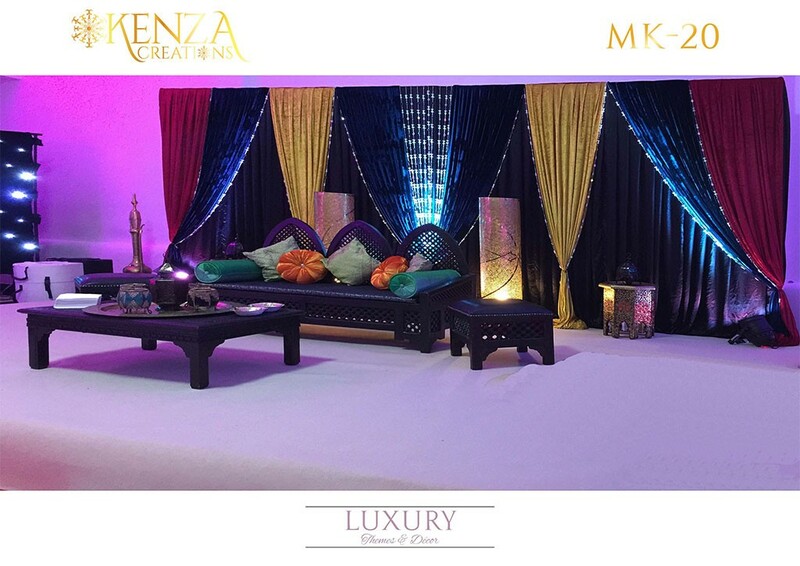 A mehndi party is one of the many colorful celebrations included in a traditional Asian wedding. 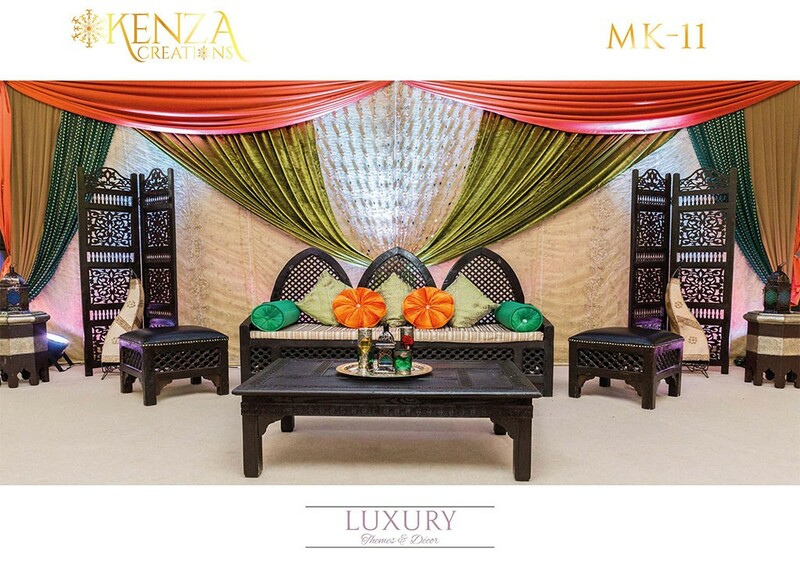 Mehndi is a paste derived from a plant which is applied to the hands and feet of a bride as a key part of the pre-wedding decorations. 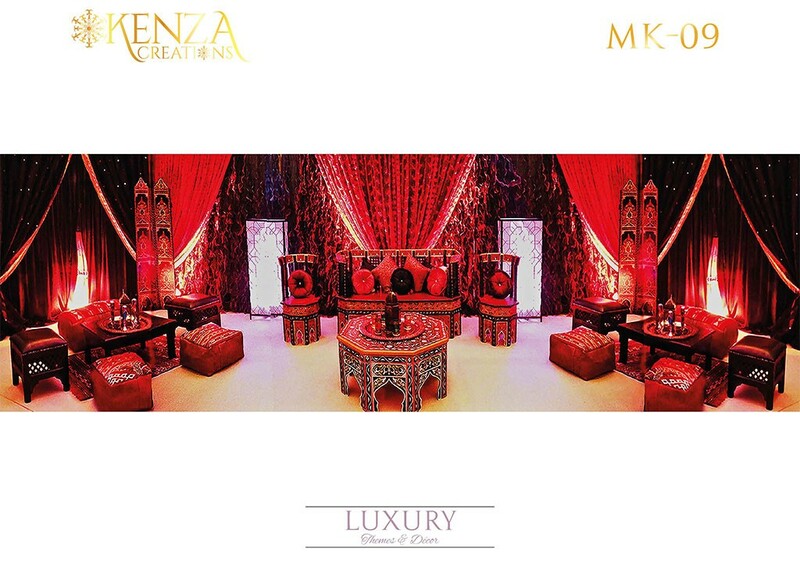 It is also known as henna and serves as a symbol of good luck during this important time. 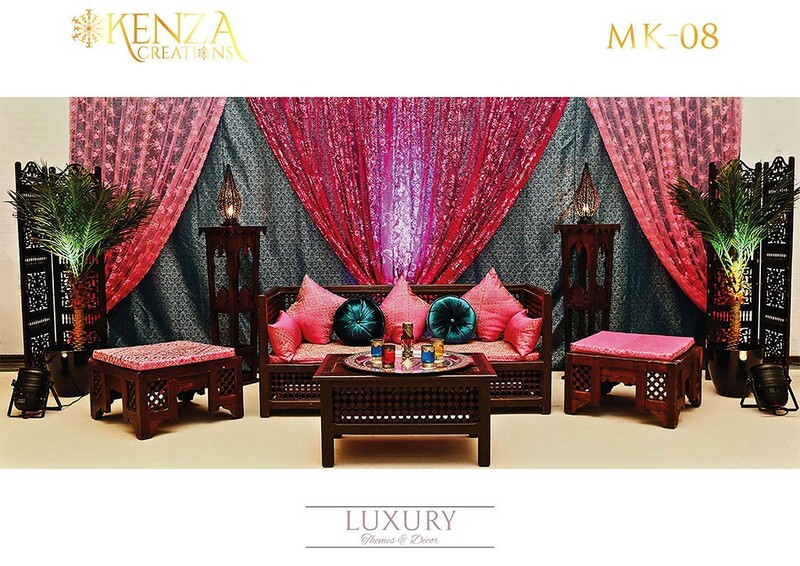 Here are some ingenious ideas to inspire your own concepts for a dazzling mehndi. 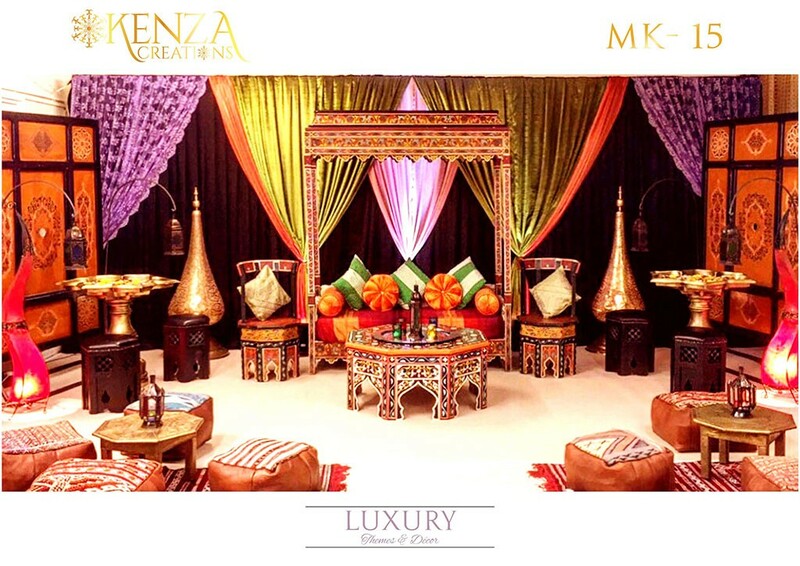 A mehndi party is all about the dazzling colors. 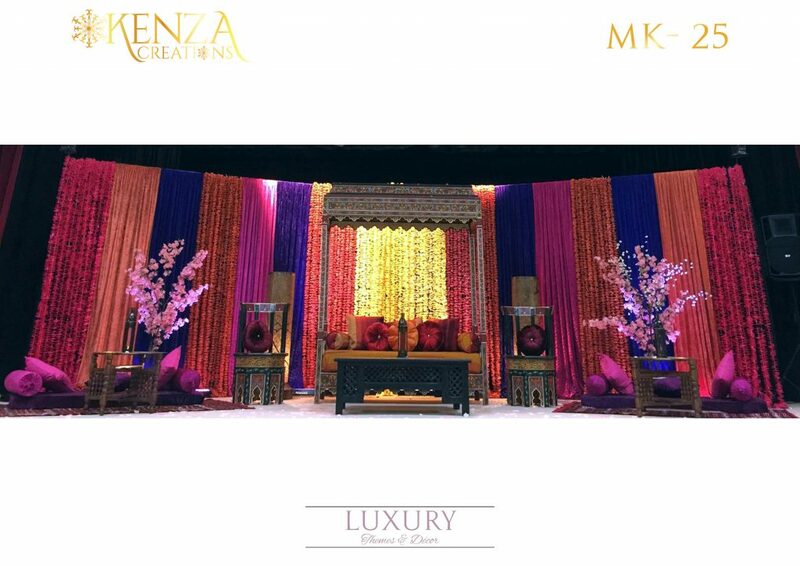 Ensure the mehndi stages are bright, glamorous and decked out in all the brilliant colors of the rainbow. 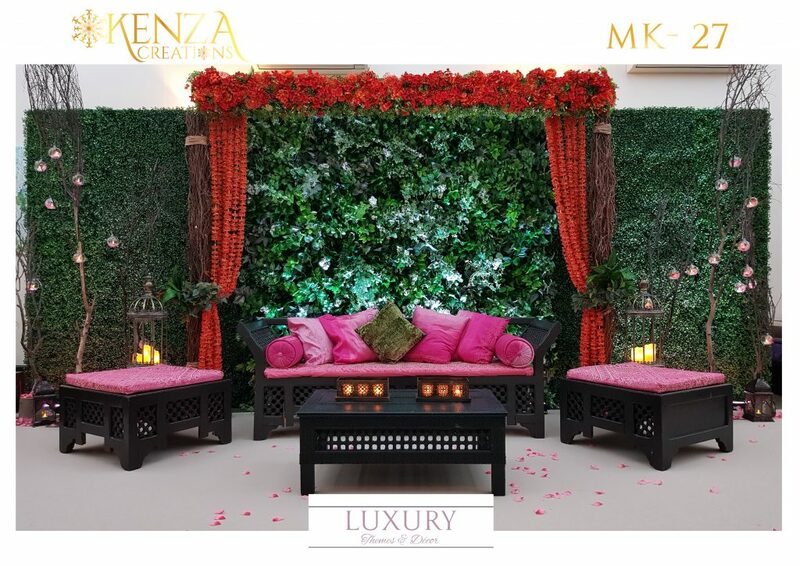 This makes it perfect for photo opportunities and a more attractive backdrop. 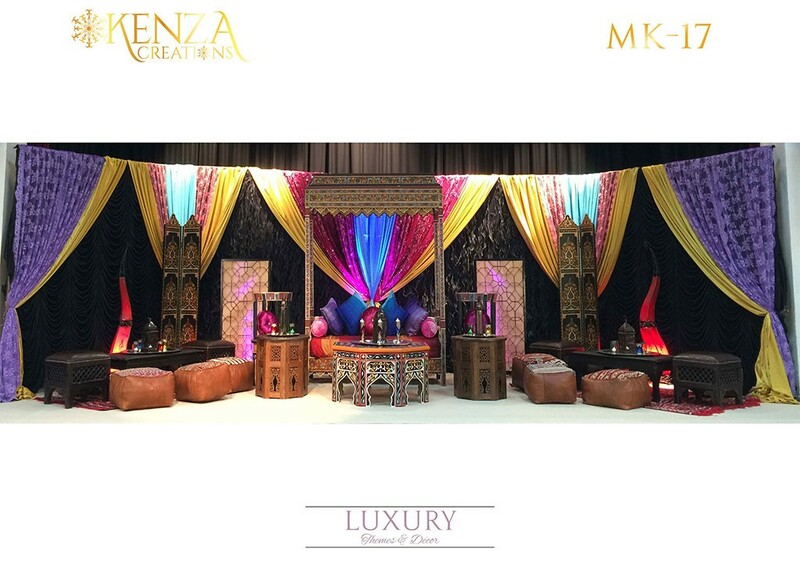 The problem with most companies that offer Mehndi décor in London is that they usually overcomplicate the situation. 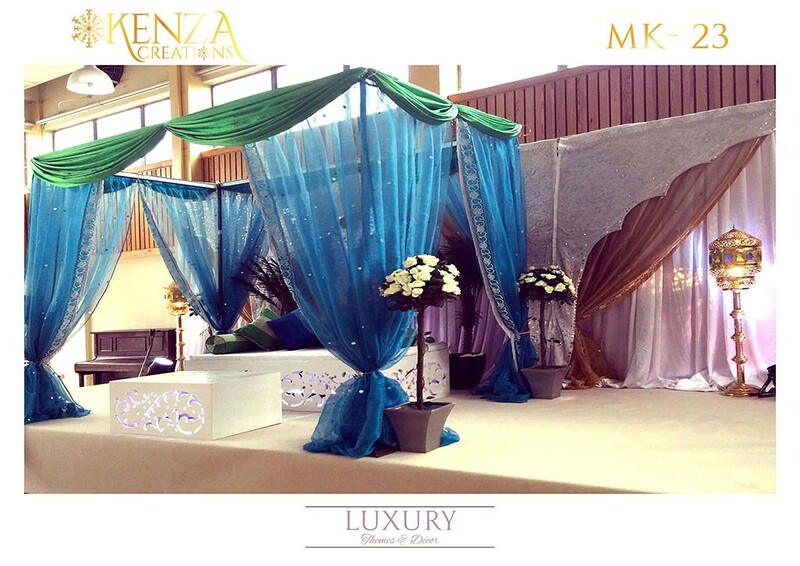 This shouldn’t be the case when it comes to the table decor. 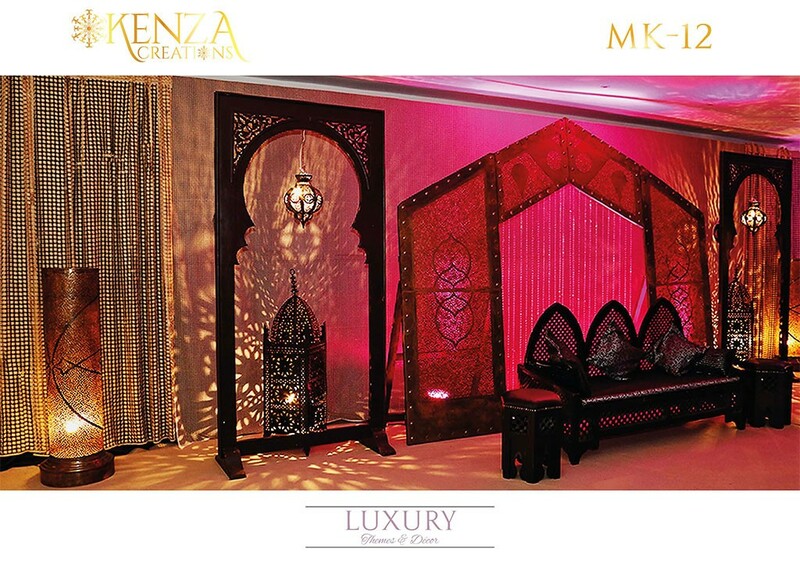 Keep things simple with small mehndi inspired lanterns and votive and you’re guests will be impressed. 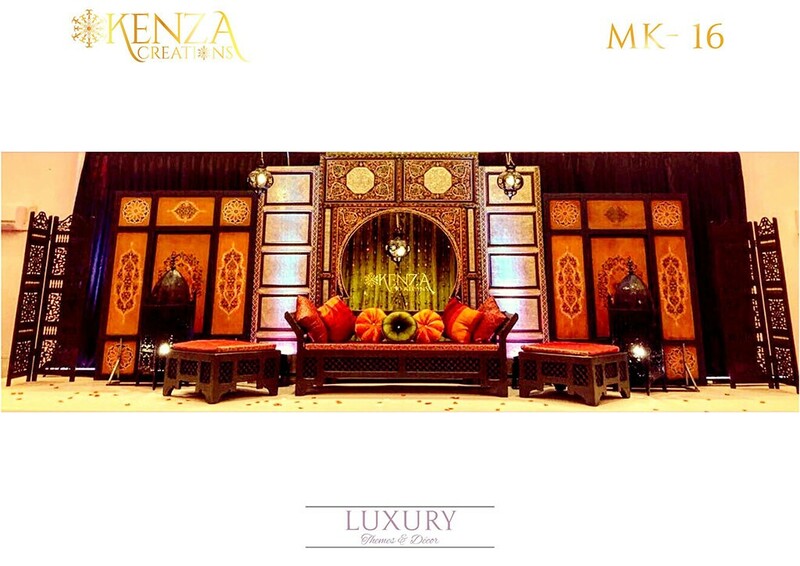 Mehndi events take time and the best way for guests to enjoy this is on comfortable seats. 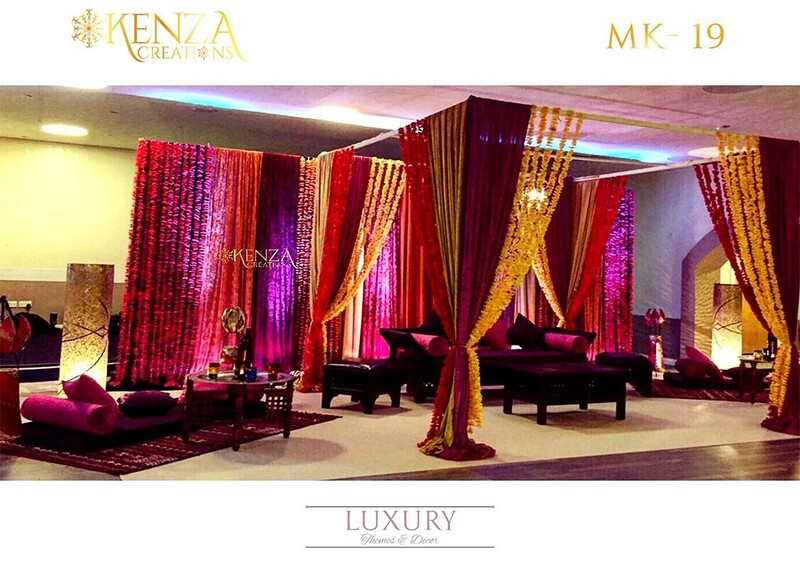 If the event is held outdoors, then you should add colorful umbrellas. 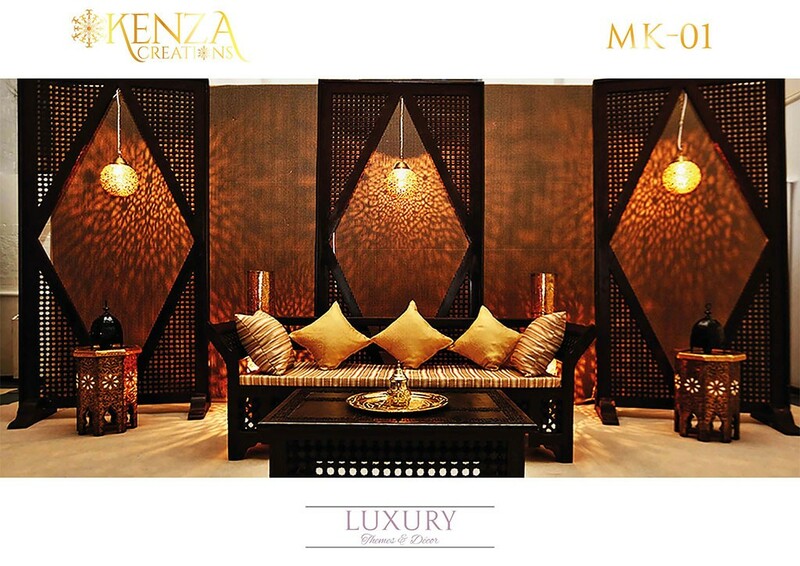 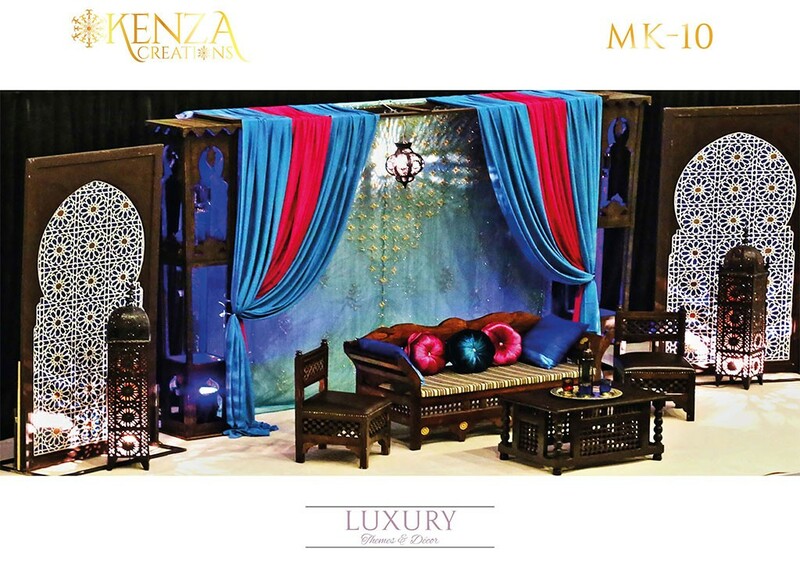 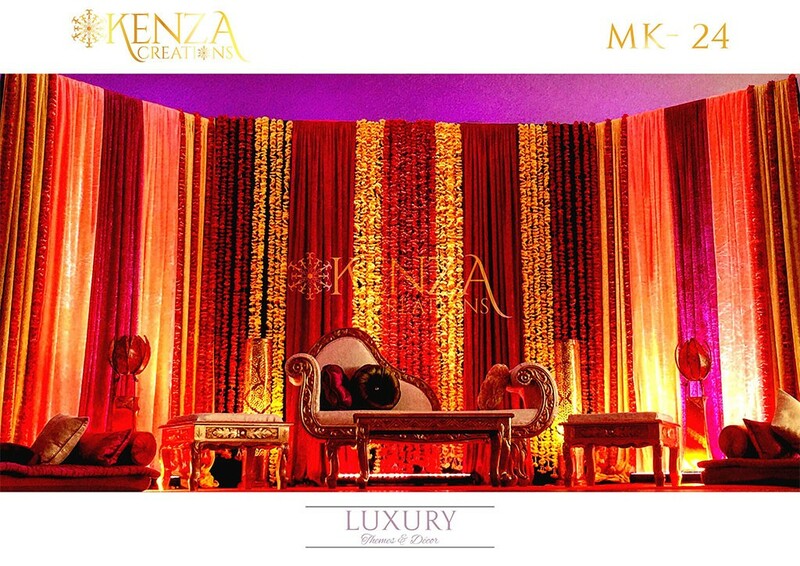 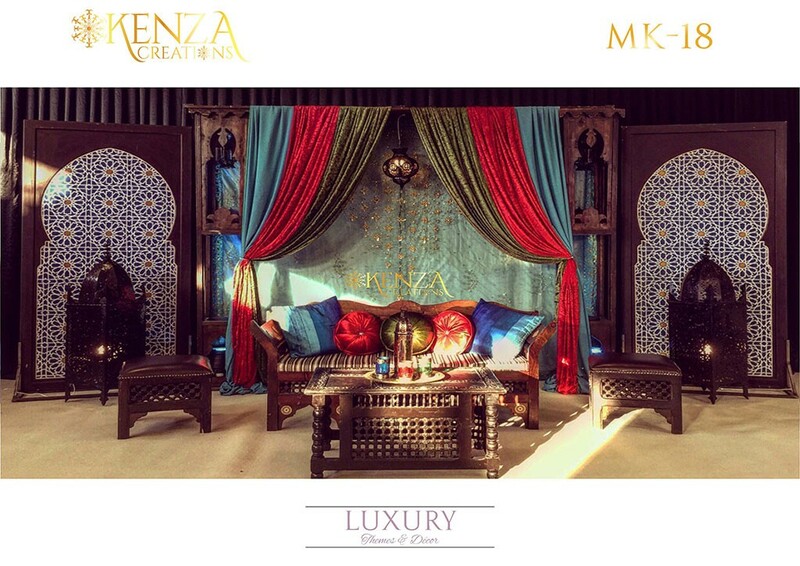 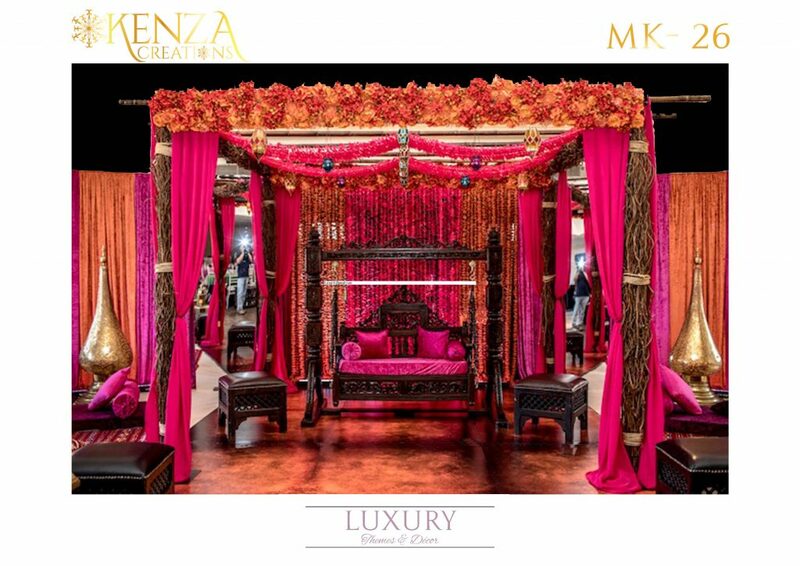 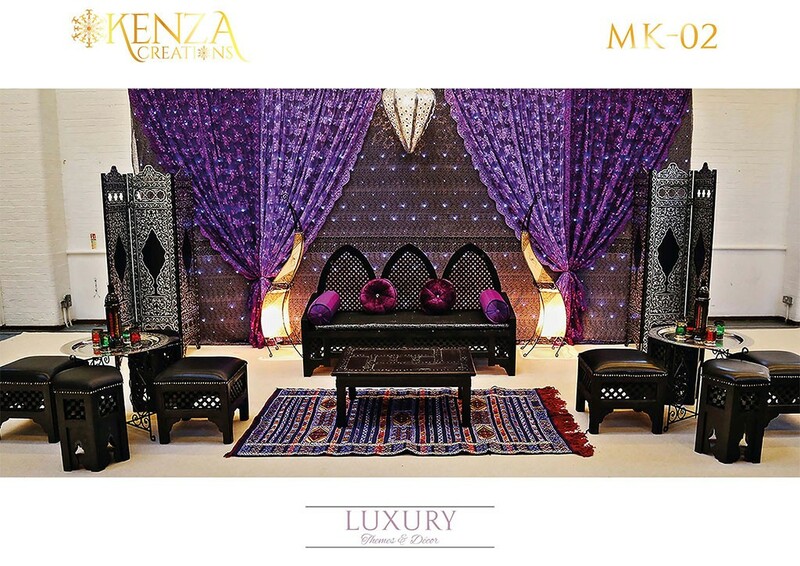 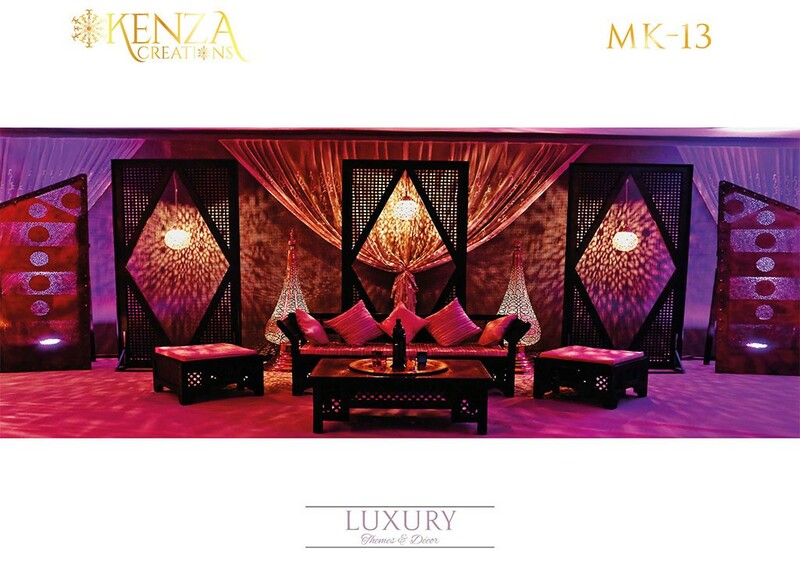 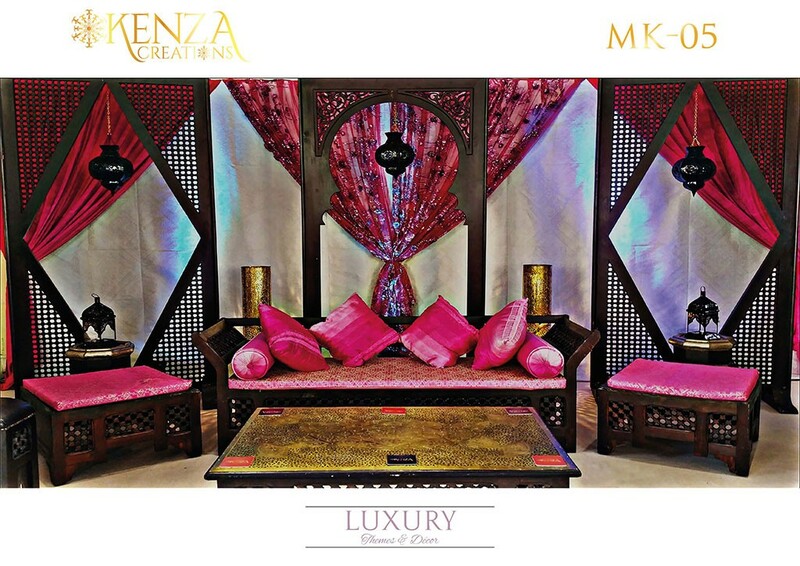 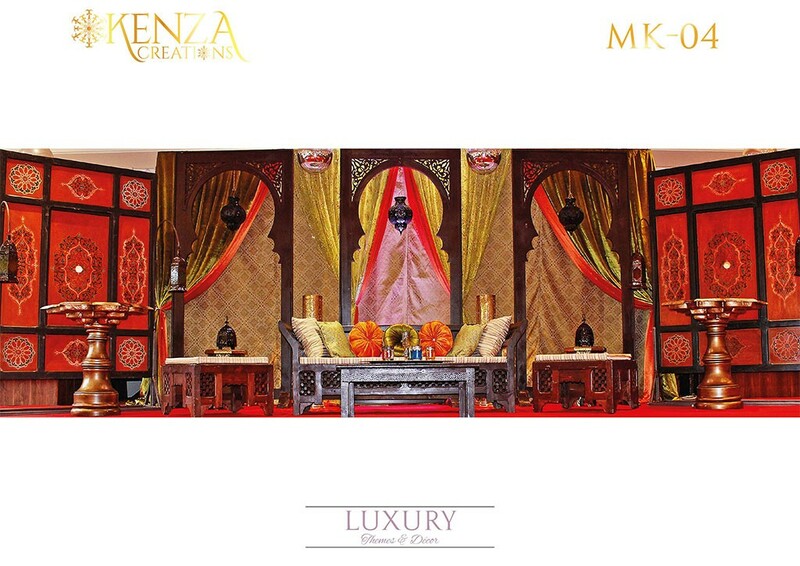 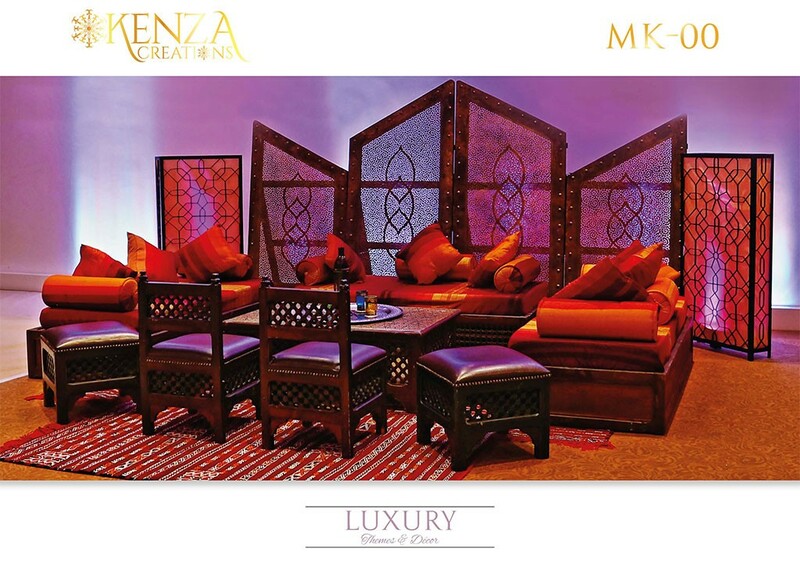 Kenza Creations meets a growing gap in the market for professional event design in London. 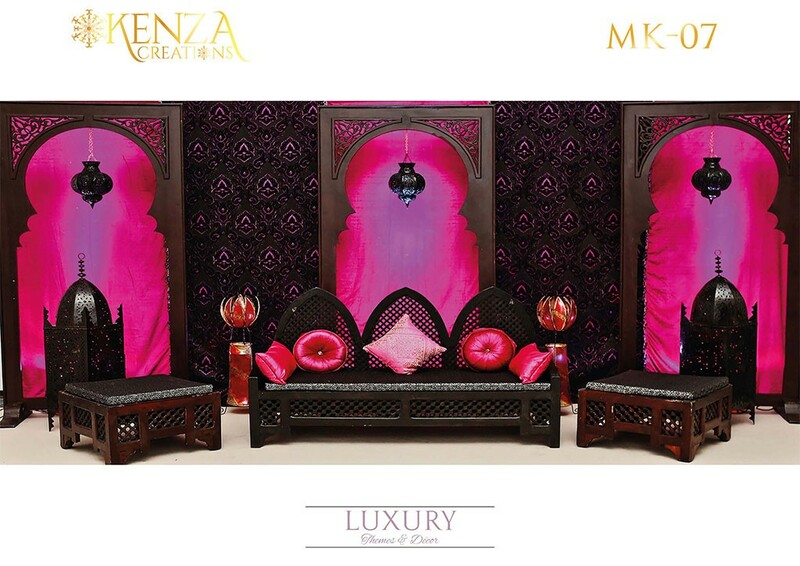 Since creation, we have produced unique themed sets and decor. 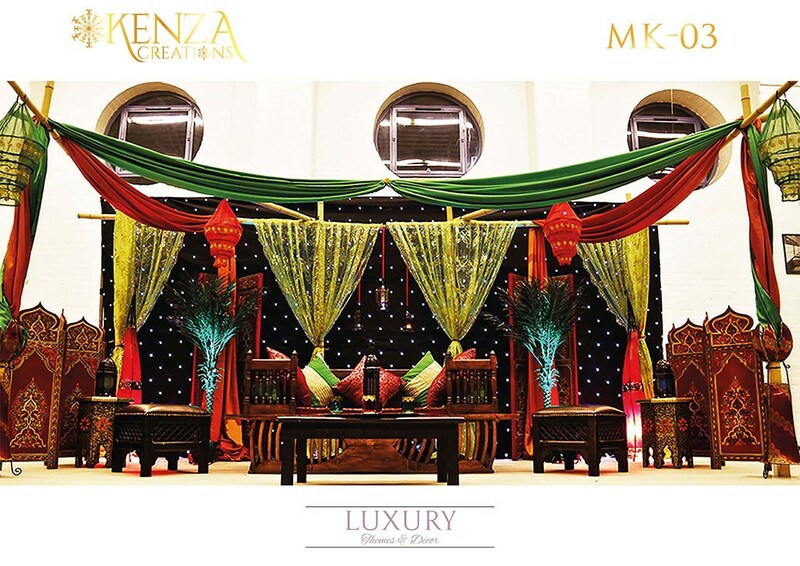 If you are looking for Mehndi décor in London, then we are the company for you. 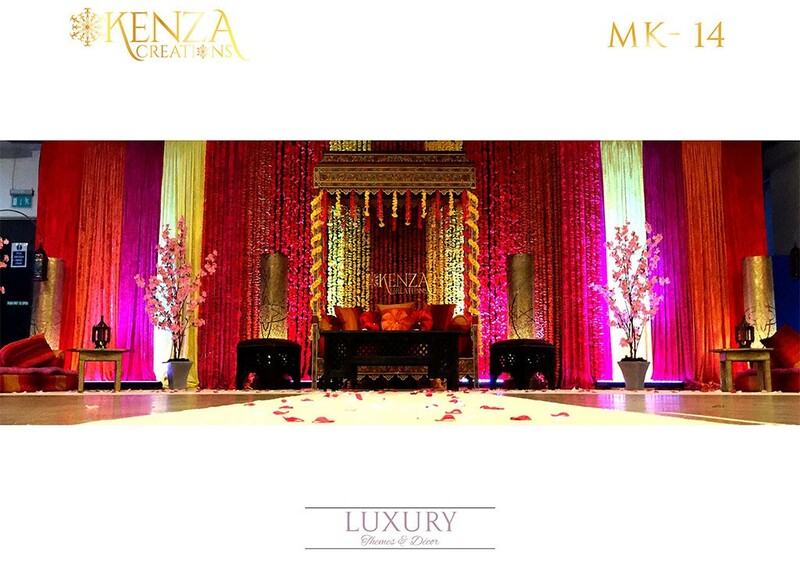 We combine meticulous attention to detail with creative finesse to deliver flawless results for all our clients. 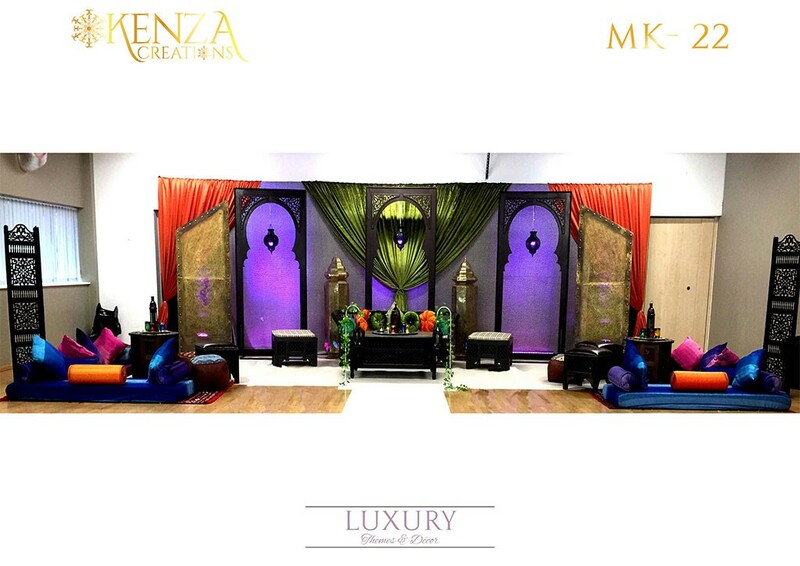 Our team of experts are always available to design mehndi stages that meet our clients’ satisfaction.